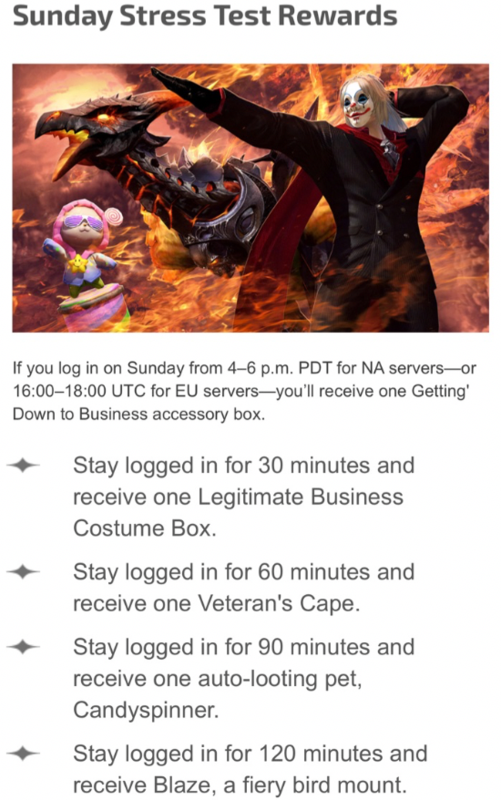 TERA for consoles is a hot mess. So, I’ve been quite a fan of Enmasse’s TERA MMORPG for the last several years. I got on-board at launch, went MMO-crazy as one does with a new obsession and played almost nothing else for several months, then retired it except for occasionally resubscribing for events and holidays. That’s not a slight against TERA in particular, just a realization that I get very little else done in life when I’m in full-on MMO obsession mode. After a while, they went free-to-play, with some great bonuses for us founders, and that made it even easier to occasionally drop in and lose myself for a weekend. I even tried some of Enmasse’s other games when they had Tera-based promotions. So, I was very quick to sign up to be in the beta when they announced the console versions. They had the first technical test a few months back, and I logged in and ran through the new introductory zone and contributed my small bit of load to the servers. Then, they announced a beta weekend, and sold it pretty heavily by advertising all the cool cosmetic stuff you could earn by reaching certain goals in the beta. …So, naturally enough, I downloaded the beta on Friday night and played it for nine hours straight to hit the level cap. And it was not a good experience. Playing on an Xbox One S, there were constant missing textures and frame rates that dropped into the single digits, with frequent freezing that often resulted in the game simply crashing. It actually crashed so often during those nine hours that I eventually started mentally sorting the KINDS of crashes. There were the crashes where the controller would go completely non-responsive, but other stuff on screen would keep moving, the crashes where the screen and audio would freeze, but the game client wouldn’t close, the crashes where the game client would close and I’d be back at the Xbox One Dashboard, and the REALLY impressive crashes where I’d hear a horrible noise in my headphones and the console would simply turn itself off. Being able to crash a console to that degree is a pretty neat trick. Still, I stuck with it and got to the level cap because I wanted the pretty shinies. They’d announced beforehand that the server would be wiped at the end of the beta period, so I assumed they’d wind up in the item claim section of your account after the live launch. I even set some alarms so I would be sure to log on for the official stress test windows. I took a TON of screenshots and videos while I was grinding up, and I was really ready to put up a post of “yes, it’s kind of unstable right now but best MMO combat ever etc etc etc”. And, to be fair, they have done a fantastic job of making a controller-friendly interface, for the most part. I was never able to figure out how to make separate chat boxes or resize the existing chat box, so following group or zone chatter was really difficult, but that was the only thing that really vexed me. Technical issues aside, it’s TERA but on an Xbox. Then, after my nine-hour grind session – the only time in the last I don’t know HOW long that I’ve actually stayed up late enough to see a sunrise from the wrong side – I figured I’d log on to the beta forum and see if I could find out any information about the “run dungeons with Enmasse employees” event. And, instead, I found a thread about “Beta Rewards” and abruptly cancelled my plans to make the stress test events or play the console version when it came out. The link behind “These Rewards” is to a set of three, honestly kind-of-ugly masks that are unlocked by posting screenshots to social media and so on. 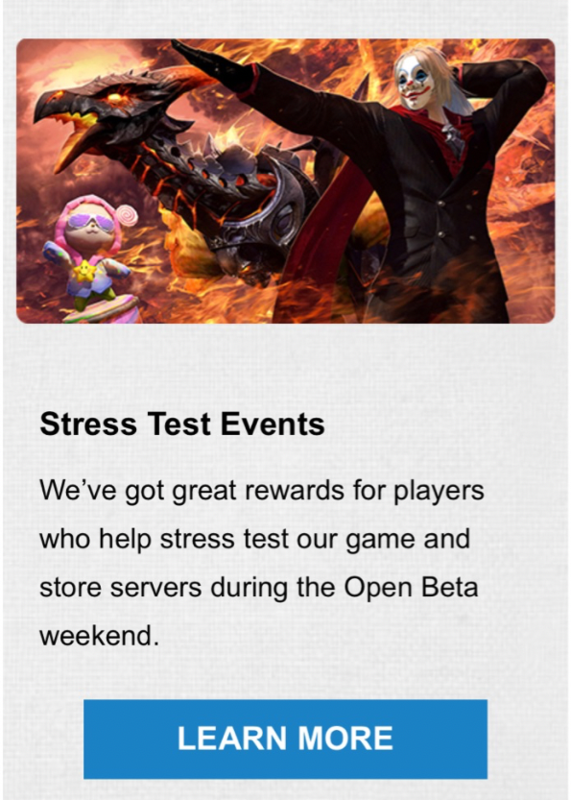 The link behind “Open Beta Stress Test Rewards” is a link to, well, ALL of the mounts and cosmetics and other stuff you could earn through playing the game during the beta test. So, let’s be clear: The beta test is running for three days, including tomorrow. 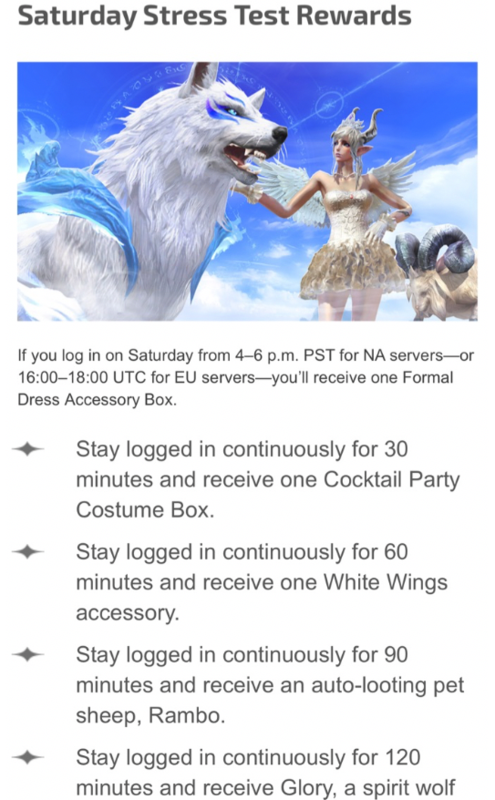 If you grind all the way up to level cap and get yourself the shiny gold wolf and the fire wings and halo, you will get to enjoy them only up until they shut down the servers and wipe everything for the end of the beta. That’s pretty weak for the thousands of hours of data they’re getting out of the beta test weekend. I’m not sure why they bothered having a CHARACTER SLOT as one of their rewards, since the Beta lets you create 16 characters already. Right now, I’m upset with the company to a degree that has really quite soured me on recommending their game to anyone in the future. I’ll update this if there is any new information to make me walk back some of the vitriol, but for right now I have lost the last six years of good feelings about TERA in one weekend. If you’re looking for a console MMO, maybe try FFXIV or Elder Scrolls Online? 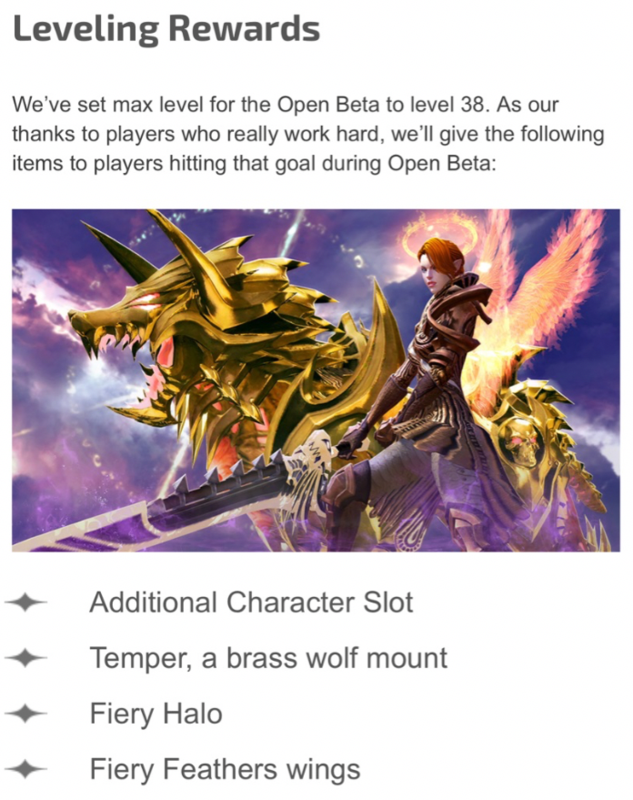 This entry was posted in MMORPG, Tera, videogames, Xbox One. Bookmark the permalink. 2 Responses to TERA for consoles is a hot mess. Yeah, I half expect someone from the company to say “uh, the guy we had watching social media over the weekend was insane, we wouldn’t be that petty about a few cosmetics”, but no such message has been forthcoming.